With the amount of bonus roulette games dominating the betting terminals, many players are happy to see traditional roulette games, without the fan fair of progressive pots or bonus features. It will come as no surprise then that each FOBT has their own version of traditional roulette. Some, such as Ladbrokes Traditional Roulette have been around over a decade such is the games popularity. Others, like Betfreds Classic Roulette are relatively new, but do not always hold the same player appeal as older versions of the game. 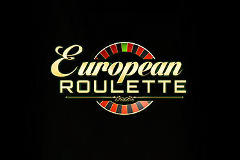 The betting options available are the same across the board, with the usual outside betting of red/black, odd/even, high/low and the several other divisions of the roulette table. Inside betting also offers the same odds of 36/1, with corners, splits and streets all available. William Hill and Betfred Traditional Roulette offer neighbour betting which makes area selection a lot easier. Coral and Ladbrokes have missed this out on their versions, but it doesn’t appear to have affected the games popularity. Once the bets have been placed, the number will be selected in much the same way across all FOBT’s, however the animation will often be vastly different depending upon which version you are playing. Ladbrokes Traditional Roulette has many spins where the ball doesn’t even manage a full rotation around the wheel, with numbers such as 7 and 12 barely making half a rotation before the spin has ended. Initially this was the increase the amount of spins per minute, but with legal restrictions limiting the time between spins, the player is now often greeted with a countdown before been able to repeat the bet. William Hill and Betfred manage several spins around the wheel before the game has ended, which in my opinion is far better than the short spins, but ultimately it makes no difference. There are many roulette systems you could try on traditional roulette games, but bear in mind that restrictions in the amount you can bet may hinder you. The maximum bet per spin is always £100, with the maximum per number a little over £13 so as to not go beyond the £500 maximum win per spin. It therefore may be better to try any roulette systems online rather than a High Street bookie. Casinos such as Sky Vegas offer roulette at just 1p per spin, so as well as great value for money, you will also have the ability to try out any systems for minimal cost.